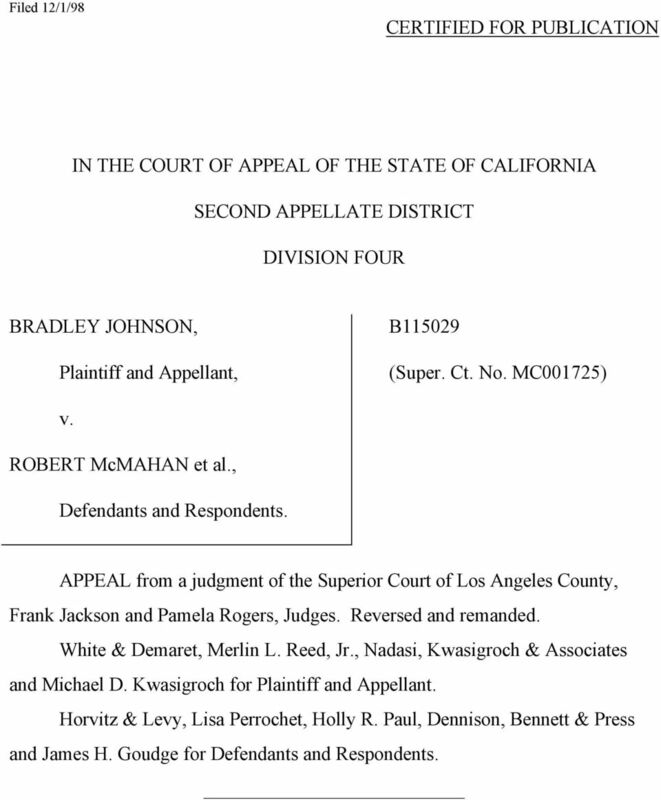 Download "IN THE COURT OF APPEAL OF THE STATE OF CALIFORNIA SECOND APPELLATE DISTRICT DIVISION FOUR"
1 Filed 12/1/98 CERTIFIED FOR PUBLICATION IN THE COURT OF APPEAL OF THE STATE OF CALIFORNIA SECOND APPELLATE DISTRICT DIVISION FOUR BRADLEY JOHNSON, Plaintiff and Appellant, B (Super. Ct. No. MC001725) v. ROBERT McMAHAN et al., Defendants and Respondents. 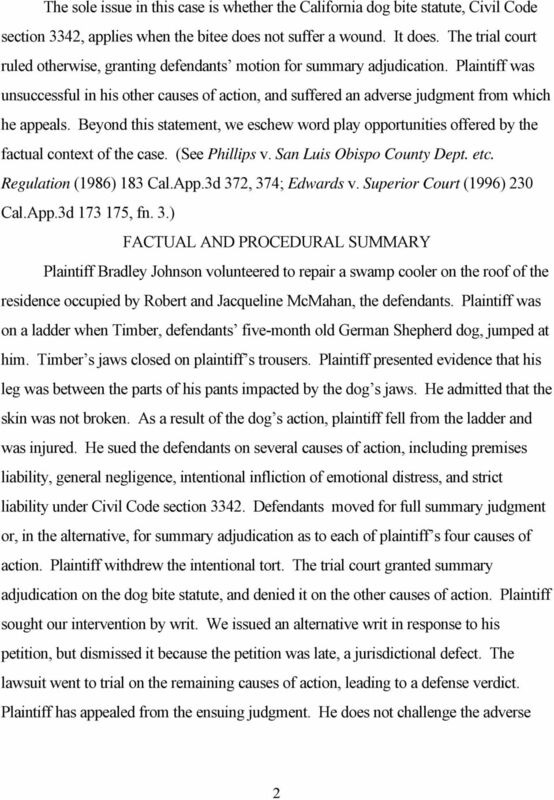 APPEAL from a judgment of the Superior Court of Los Angeles County, Frank Jackson and Pamela Rogers, Judges. Reversed and remanded. White & Demaret, Merlin L. Reed, Jr., Nadasi, Kwasigroch & Associates and Michael D. Kwasigroch for Plaintiff and Appellant. Horvitz & Levy, Lisa Perrochet, Holly R. Paul, Dennison, Bennett & Press and James H. Goudge for Defendants and Respondents. STATE OF MINNESOTA IN COURT OF APPEALS A13-1110. 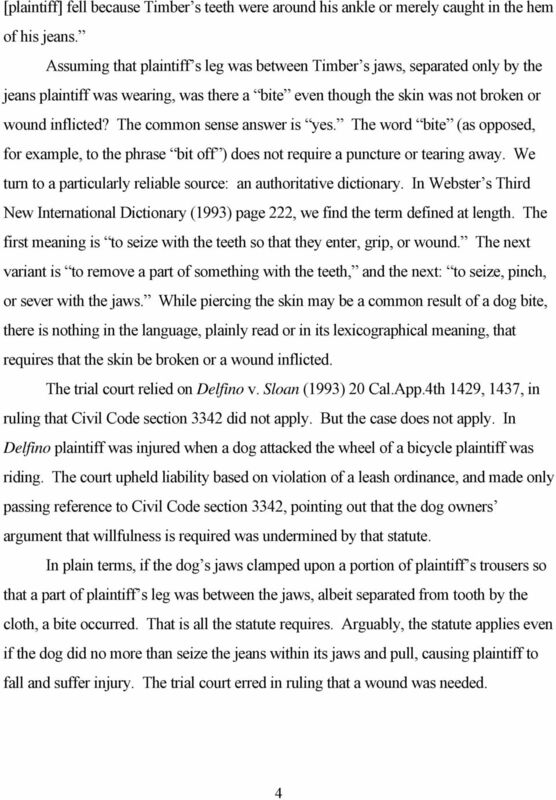 Faron L. Clark, Respondent, vs. Sheri Connor, et al., Defendants, Vydell Jones, Appellant. Filed 10/19/05; pub. order 11/16/05 (see end of opn.) 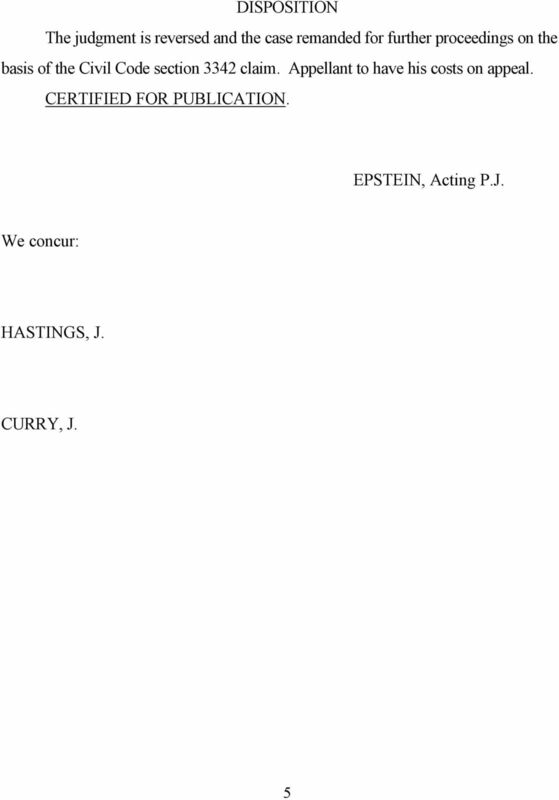 IN THE COURT OF APPEAL OF THE STATE OF CALIFORNIA SECOND APPELLATE DISTRICT DIVISION SEVEN Conservatorship of the Persons of JERRY P. KAYLE et al. Filed 12/12/97 Certified for Publication 12/31/97 (order attached) IN THE COURT OF APPEAL OF THE STATE OF CALIFORNIA SECOND APPELLATE DISTRICT DIVISION THREE STATE OF CALIFORNIA et al., Petitioners, v.
CASENOTE LAWATYOURFINGERTIPS JAMES GRAFTON RANDALL, ESQ. 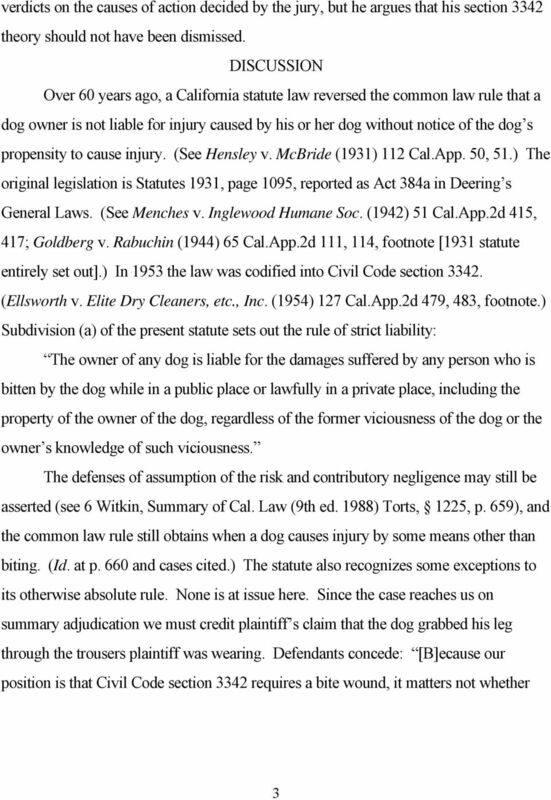 HOUSING GROUP, Plaintiff and Respondent, v. CALIFORNIA INSURANCE GUARANTEE ASSOCIATION, Defendant and Appellant. No. G015394.